A true professional paint. 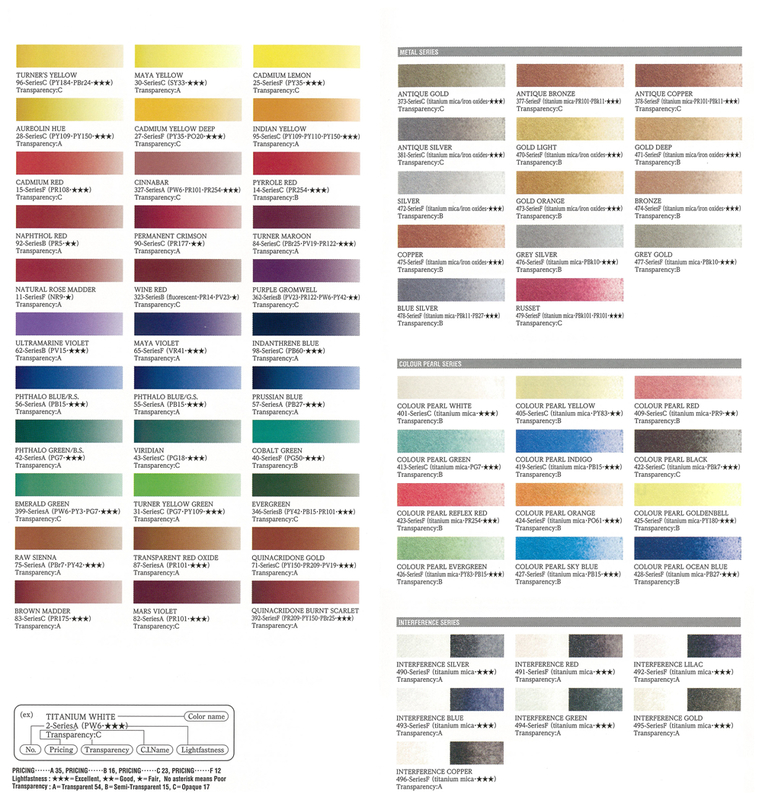 Vibrant 148 colour range. Finest professional watercolour combining the finest pure pigments and gum arabic with high lightfast ratings and superb transparency. 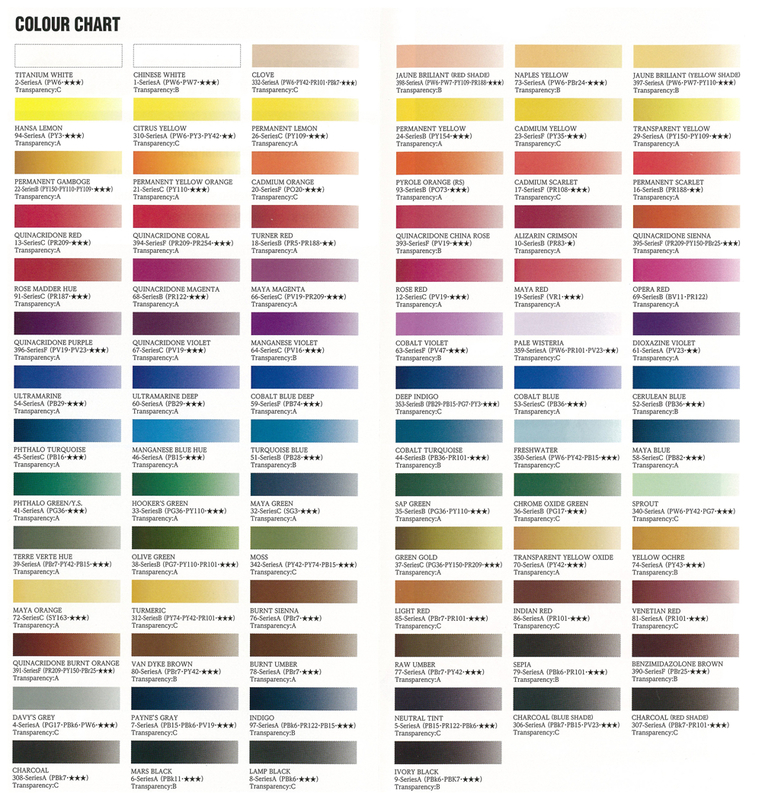 148 colour range has 65 single-pigment colours. The other colours combined with gray, green and brown pigments vivid and balanced, perfect for permanent works of art.Available in generous 15ml tubes and convenient sets. The Turner Manufacturer carefully selects resistant to sunlight pigments for Watercolourss, preserving the beautiful colours. Therefore artworks can be stored for a long time without colours fading. 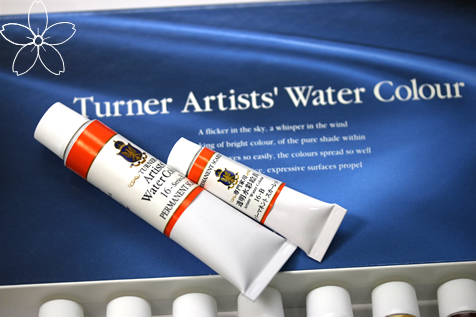 Turner Water colour have all the main characteristics, superior grade artists’ watercolours. Watercolours which are safe to use. Turner Colour Works Ltd. constantly monitors the raw materials used making sure they are safe and not harmful to human health and the environment. You can use these watercolours with confidence. 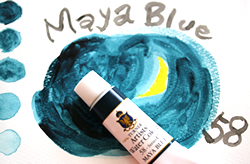 Maya blue reappeared in modern times, and even with ancient documents and the analysis of the riddle pigments, it’s still fascinating people with mysteries and legends. The base of this series was the technical information and the specific colours of Mexico and Central America that originate from the prosperous Maya civilization based there.The new colours, full of dreams, were born in Japan, after a long time passed from Maya civilization. The amount of water added may effect transparency and colour brightness. Please adjust the amount of water depending on the technique and the image that you want to draw. You can use any type of brush, but brushes from natural fur are preferable. 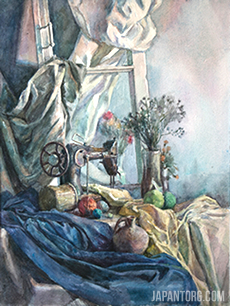 Watercolours are non-adhesive to mirrors and oily surfaces. After use, wash brushes thoroughly and wipe with a clean dry cloth. If watercolour comes in contact with your skin, wash with soapy water. If watercolour comes in contact with your clothes, wash with soapy water. Make sure watercolour paint does not get into the mouth and eyes. After use, wipe the tip of the tube and close cap tightly, store at room temperature. When empty dispose as waste.